Canada’s retail industry has seen a dramatic shift in recent years due to technological advancements. Fintech and retail solutions are now knocking on the doors of the big brands, desperate to help reshape the future of commerce and finance in this sector. As retail faces new challenges, many are hopeful that these products and solutions will boost sales, improve operations and impact customers in the best way possible. Already, these solutions are in full swing working to harness real-time customer and point of sale (POS) insights, to reach customers across mobile channels, and to ensure visibility in all areas of production. In 2016, over 1,500 fintech startups applied to MasterCard Start Path Global, in an effort to support startups to connect with some of the largest names in banking, retail and technology. As more fintech and startups begin cropping up in Canada’s retail space, it is becoming harder to be picked out by the top global brands. Therefore to impress the roster of retail A-players, Canadian startups need to build a solution that makes it hard for them to say ‘no’ to. Identifying the issue, providing a suitable tech solution and proving this new approach actually works is essential to winning a business over in any industry. Here are a few steps we took at Jifiti to approach retailers and convince them to give us the green light in delivering reliable retail solutions to their stores. Retailers will lose interest if any mention of integration is uttered. Retailers want a hassle free solution that requires little, or no adjustments, or resources from their part. To grab their attention, show that the solution can work seamlessly with the retailers existing systems, rather than having to integrate with it. Solutions that are creative should be able to supply a working solution that visibly solves a problem, or eases business, without needing full integration on the retailer’s end - at least in the initial stages. This may mean that some processes are accomplished manually on the startup’s side, but there is nothing wrong with that. The goal is to offer the solution on a silver platter without the partner needing to invest time and resources in the early phases. What takes place behind the scenes with the product is completely up to the startup team. Don’t be afraid to dumb things down, or solve issues manually to avoid interruption and run a proof of concept. Having everything automated is surprisingly not a top priority for retailers. Instead, they appreciate startups who can creatively solve their issue without having to mention the dreaded need for integration. Startups need to recognise that with the level of competition in their space, one way forward is to partner with a middleman to get solutions up and running. Partnering with a seperate player in the field can not only allow startups to utilize outside assets to improve their current solution and avoid needing integration with the client, but it can also put these startups on the map. Linking up with well-known corporations in and outside of Canada will grant startups the use of existing infrastructure, giving them a lift up the industry ladder. Thanks to Prime Minister Trudeau’s recent efforts and initiatives in supporting Canadian businesses and commerce, it should be easier for Canadian retail startups to find these potential partners. His successful bid to host Collision, one of the largest tech conferences in North America, has already thrown the spotlight on Toronto and its bubbling tech ecosystem. Trudeau’s trip to Silicon Valley, including a visit to Amazon where he met CEO Jeff Bezos, has also encouraged big names to invest and look for partnerships in Canada. Specific interest in retail was sparked last year when AI-enabled intelligence company Rubikloud landed a $37 million investment. With more eyes watching Canada’s startup scene, finding the middle man to help kickstart your retail solution should be a top priority. At Jifiti, we collaborated with Mastercard to offer retailers a zero-integration option for our platforms. Thanks to the international credit cards technological infrastructure we are able to offer a seamless transfer of funds between our gift registry and consumer financing platforms without requirements from the retailers own management system. This collaboration has let us work with large retailers such as Ikea and others to implement our retail solutions on their sites. Therefore, building a solution that does not require resources on the retailers end is one step towards partnering with some of the big brands. Assuming a startup can provide a solution without needing full integration immediately within the retailers own internal system, then proving that the solution works across the board is the next step. Once positive results appear, retailers will not require any other convincing and will be inclined to prioritize their time and resources to work with the startup. Reiterating the previous point, results do not necessarily need to stem from automated solutions. Proving the solution can be processed manually first to run tests and show results is a great first step. 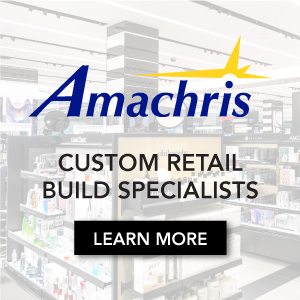 The solution can always then be upgraded once the retailer has seen results and is onboard. This is what we achieved at Jifiti when partnering with Nike. We first launched a gift card promotions platform with them using a middle man, however, once Nike saw the success from our platform and how it increased sales and lowered fraud, they agreed on direct integration with their gift card processor. Presenting results to the retailer involves communication and time. It’s important to set out KPIs with the partnered retailer to ensure both startup and retailer are on the same page on what exactly is being tested and what results they are looking for. This could be sales, brand awareness, user acquisition etc. Laying these expectations out up front will allow startups to prove their point to the retailer and then move on to discuss investing resources and further development. 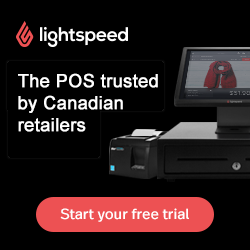 Retailers in Canada and the rest of the world are in no way turning their backs on technological solutions and the startups offering them. They are looking to innovate and to do so they need the combined benefits of a streamlined shopping experience and new tech to stay ahead of the competition. However, retailers, particularly the big brands, will be more inclined to test new solutions from smaller startups if it does not interfere with their ongoing pipeline and budget and if it can be worked seamlessly into the brand's existing software. Therefore, to increase their chances, Canadian startups should keep these three pointers in mind when developing and pitching their solution to retailers. It could significantly lower the entrance barrier to testing and launching with some of the larger brands in the retail industry. Yaacov Martin is co-founder and CEO of Jifiti - a leader in branded gift registry solutions utilized by companies such as IKEA, NIKE and Nebraska Furniture Mart. Follow him on Twitter at @yaacovmartin.